#1. Steam is a food group. #2. Carrots are your friend. #3. Steamed carrots are the double whammy of dieting. #4. Buy extra for the horses. And don't eat them all on the way to the barn. #5. Carrot cake is only for birthdays. Your horse's birthday. #6. You don't have "yellow skin," you have a "beta-kerotine glow." #7. 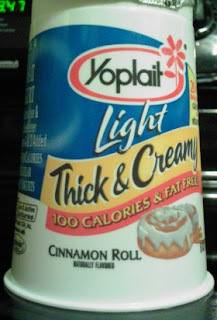 Yoplait yogurts come in 61 flavors, but none of them is carrot cake. Write them and suggest it! Here's an interesting formula for calculating the ideal weight for your horse to carry. Ah! Finally! The secret to losing weight. Have pity on those who have to carry me? I'm in! I found the best way to lose weight is to not eat bread, pasta, those kinds of carbohydrates. Of course, what did I eat this winter? Bread, pasta and those kinds of carbohydrates. Whoa. Very interesting on the horse/rider load ratio. Love the 'steam is a food group'! I'm going to try to talk my stomach into that one.